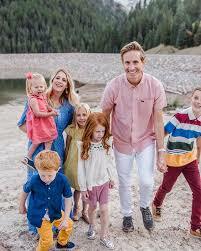 April and Davey Orgill and their five children are the subjects of the YouTube channel April and Davey. Originally their channel was named AprilShowrz and they launched in 2014. Their video “DIY How To Make a Swimmable Mermaid Tail for Under $25” went viral. They have just under 500,000 subscribers and more than 145 million views. Davey, a photographer and videographer, has his own vlog channel Davey Train. April’s channel, Hair 101 with April, has garnered international attention. She is a professional hair stylist. The Orgill family belongs to [The Church of Jesus Christ of Latter-day Saints. This page was last edited on 12 January 2019, at 14:25.